Treat yourself to this spacious 2BR/2BA vacation rental home in the prestigious San Felipe vacation resort of El Dorado Ranch, a gated community with 24-hour patrolled security. The master bedroom comes with a comfortable queen bed and colorful duvet cover to match the lively colored walls and floor tiles. The second bedroom has two twin beds which is great for kids or adults who need separate beds. This house has a lovely rear porch for outside dining. The house is fully air conditioned and heated for maximum comfort any time of the year. The house is tastefully decorated with all the amenities for an enjoyable stay including satellite TV and DVD player. As a resort resident, you will have access to to 2 swimming pools, 6 tennis courts, 4 pickle ball courts, a private beach, and lots more. For your convenience, there are 3 restaurants located in the gated community. 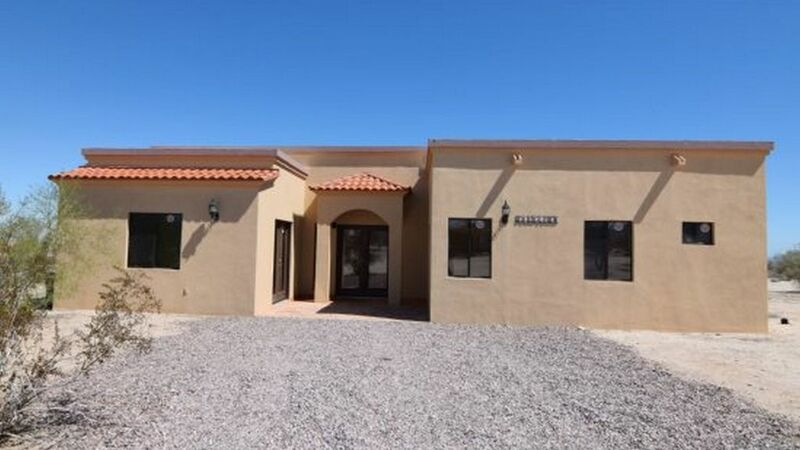 This house is located within the Los Medanos North section of El Dorado Ranch and is an easy 15 minutes from the Malecon in downtown San Felipe. IF you enjoy playing golf you are in the right place! The famous Las Caras de Mexico golf course is right in our gated community. There is a beautiful club house with great food and a bar for relaxation. PLEASE NOTE: This is a no pet rental. We had a nice stay here at Casa Dooley!! Very nice house everything in the home is very nice!! Its very quiet and we felt very safe!! I would come back here everytime! !